This article outlines how to clear a recall from a Contact record. 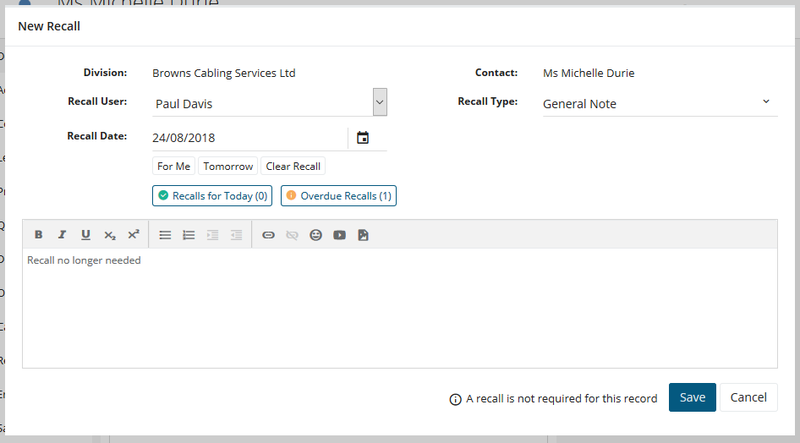 Certain statuses of other records (Leads and Problems) may require a recall so the below functionality will only allow you to add notes and change the recall user. 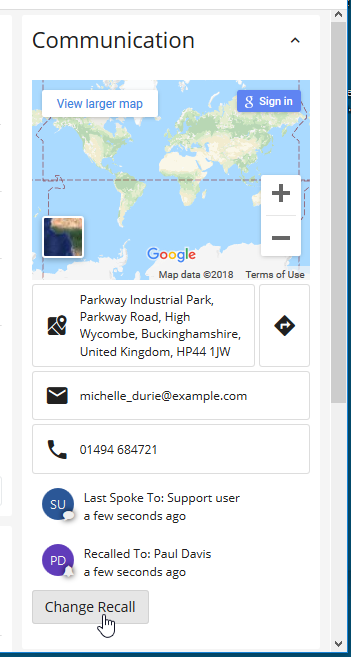 With the Contact record open you can see who the Contact is currently recalled to in the Communication pane on the right-hand side if using a large screen or at the bottom of the page on a small screen. Clicking the Change Recall button will open the Recall window and allow you to clear or change the recall. You can add a note in this window and then click the Clear Recall button to remove the recall. If you do not fill in any notes on the Activity window, pressing Clear Recall will add a default Recall Cleared note for you. 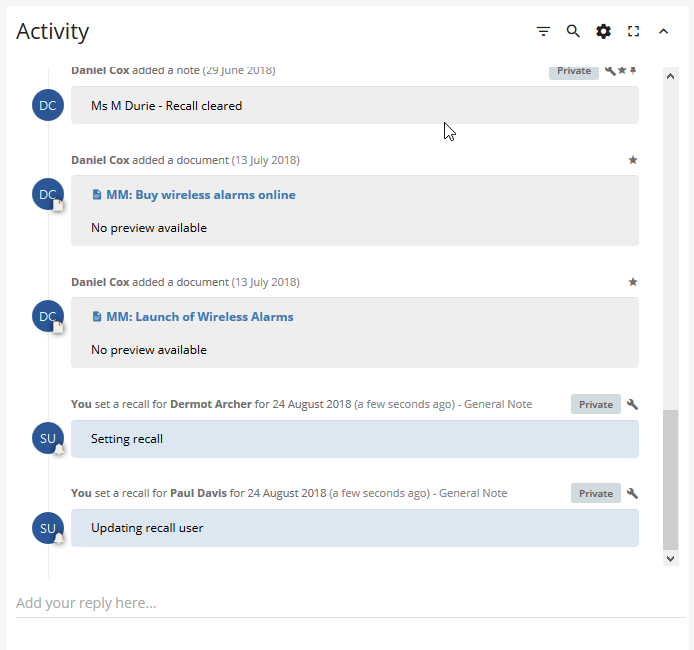 Once happy with information you can click Save, this will clear the recall and update the activity page. By clicking on the Add your reply here... section it will open up the below text box for you to enter any notes that you wish to add when clearing the recall. Once happy with the message you can click the Recall button. This will open the Recall window. 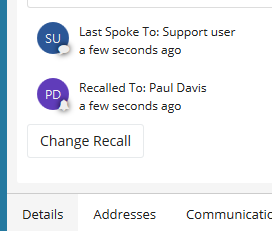 Clicking on the Clear Recall button will remove the recall from the currently-recalled user. If you did not fill in any notes on the Activity window, pressing Clear Recall will add a default Recall Cleared note for you.